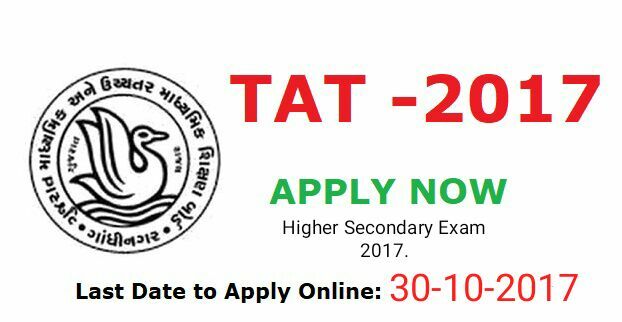 Gujarat School Examination Board (GSEB) Gujarat has published an Advertisement for Teachers Aptitude Test (TAT) for Higher Secondary Exam 2017. Other details like age limit, educational qualification, selection process, application fee and how to apply are given below. Application Fee: Candidates have to pay Rs. 350/- (for General) and Rs. 250/- for + Bank charges through net banking or Post office.